Bronchopulmonary dysplasia (BPD) has progressed over time into a syndrome with multifactorial aetiology and complex pathophysiology characterised by a developmental arrest of the alveolar and pulmonary vasculature compartments. BPD remains common in extremely preterm and very low birth weight infants. Maintaining appropriate oxygen blood levels in BPD infants may promote growth, reduce the risk of sudden infant death syndrome, and lower pulmonary artery pressures. There is no agreed approach on how to best titrate and wean home oxygen treatment in BPD infants. In BPD infants on home oxygen therapy, sleep-disordered breathing is common and appears to be central in origin. However, obstructive apnoea events are also more common in BPD infants. The increased frequency of central apnoea events during sleep in BPD infants has been shown to decline on low-flow oxygen treatment to levels observed in healthy infants. It is hypothesised that brief respiratory pauses in sleep could result in significant oxygen desaturations in BPD infants who have a decreased pulmonary reserve. Those events are scored as central apnoea in polysomnography and are prevented by oxygen treatment. Central apnoea events may also represent disrupted control of breathing secondary to altered chemosensitivity. 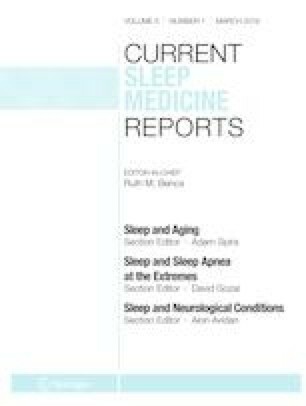 Polysomnography may be of clinical value to monitor sleep-disordered breathing, assess pulmonary reserves, and titrate and wean oxygen in BPD infants. Considering the increasing number of extremely preterm and very low birth weight infants with BPD, we recommend prioritising the performance of well-designed studies to gather high-level evidence into the potential role of polysomnography in the management of prematurity- and BPD-associated long-term sequelae. Joerg Mattes, Tanya Gulliver, Jodi Hilton, Adam Collison, and Bruce Whitehead each declare no conflict of interest.